9/11/05: Our 34th anniversary. 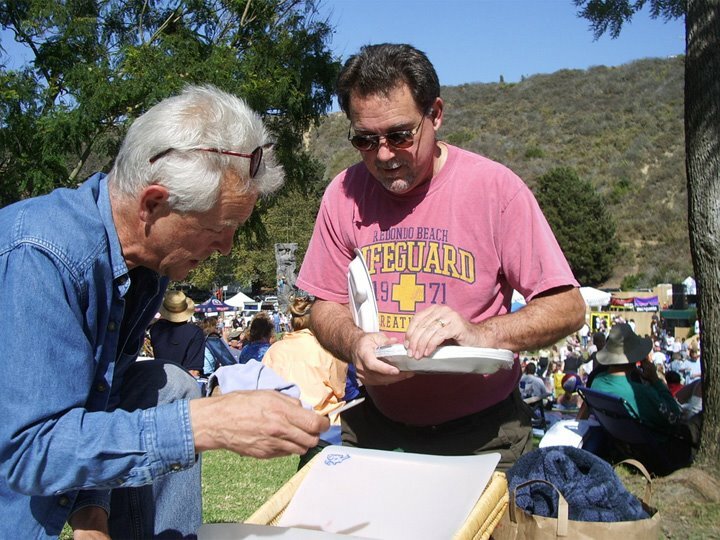 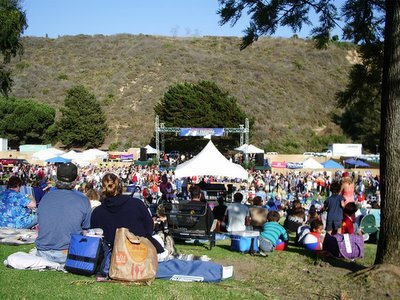 After church in the morning, we spent a pleasant afternoon enjoying the Ventura Hillsides Music Festival in Arroyo Verde Park. 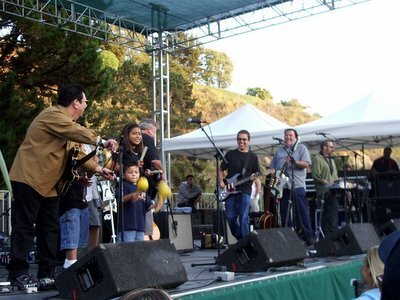 We picnicked with Mark and friends and enjoyed the music of Los Lobos and Big Bad Voodoo Daddy. After the concert, we went home and enjoyed champagne and cheese with Richard & Nancy and Jack & Carolyn. 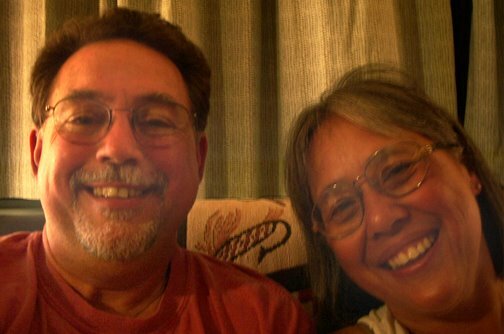 Totally mellowed out, we took this self-portrait while sitting on the couch.